The Robens Field Station is an excellent tipi tent for helping turn your weekends into family adventures. Quick and simple to pitch. Lightweight to transport. 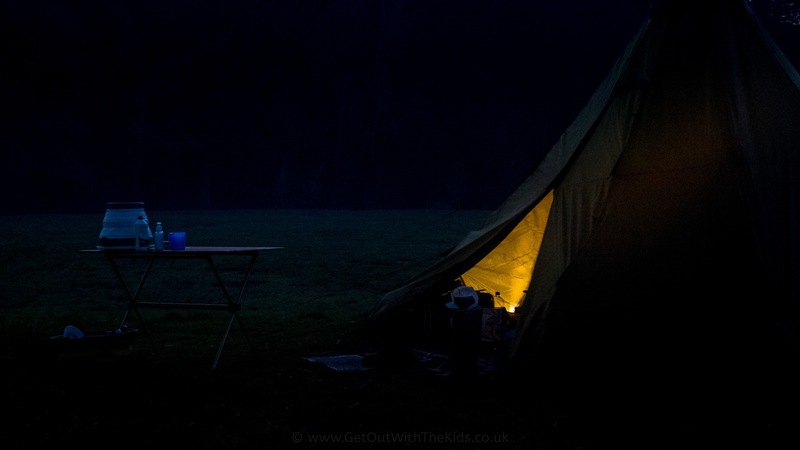 This year we’ve been using the Field Station Tipi tent from Robens. And we love it. 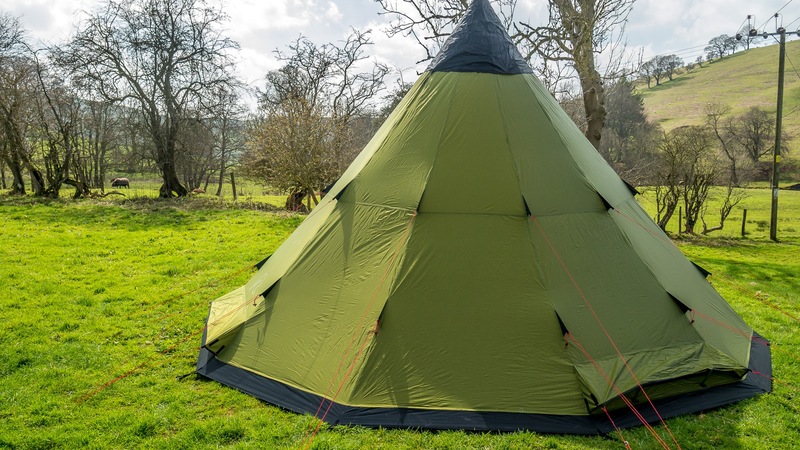 One of our favourite tents ever has been the Robens Kiowa, but the Robens Field Station is a perfect smaller cousin of the Kiowa that’s ideal for those quick weekend camps. 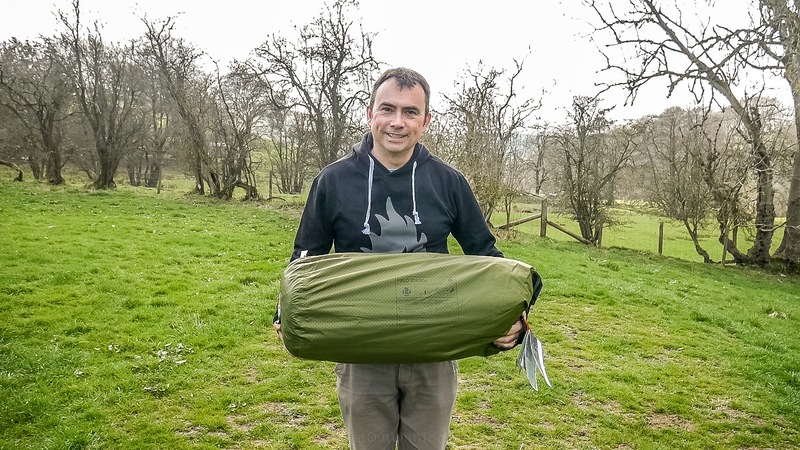 Despite being designed to sleep up to eight people, the Robens Field Station comes in at an impressively small and lightweight pack size, which makes it easy to thrown in the back of your car and pitch single-handed. 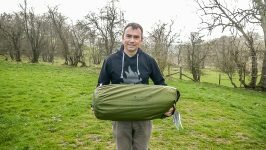 The pack size measures 64 x 25 cm and only weighs 7.7kg. OK, it’s not a very lightweight tent for backpacking, but for family camping with a car, this is a nice change from the super-massive family tent packs. 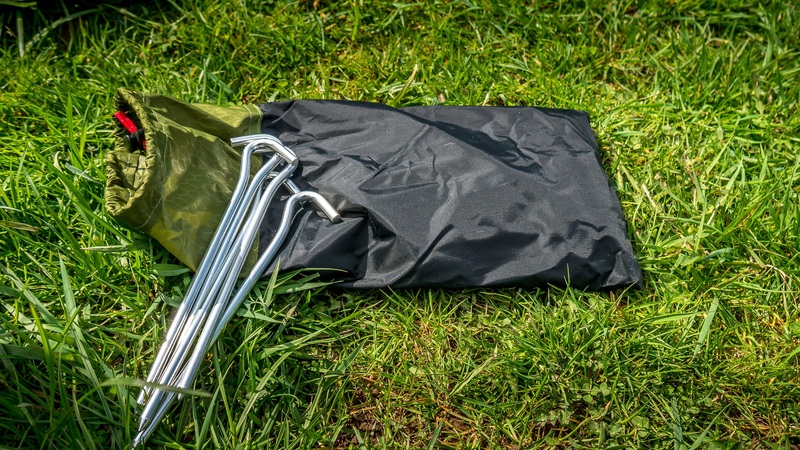 The pack contains the tent (obviously), the tent pole (yes, just one pole), and the tent pegs. The tent pegs are good quality thick aluminium. 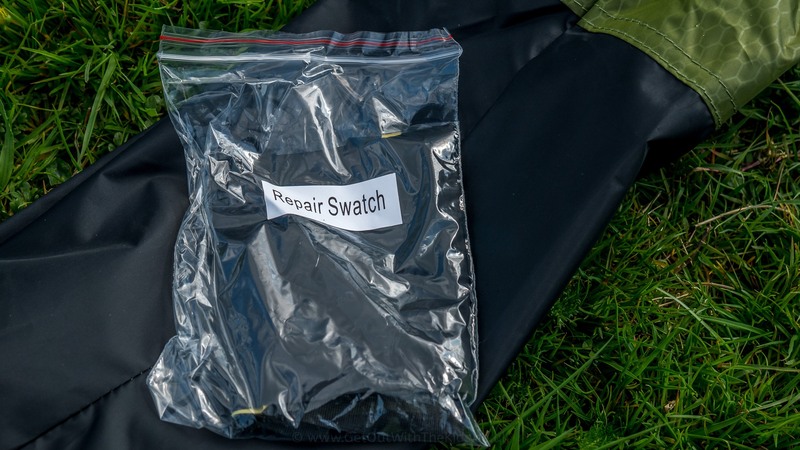 Also included in the pack is a repair patch. Let’s hope you never have to use it though. 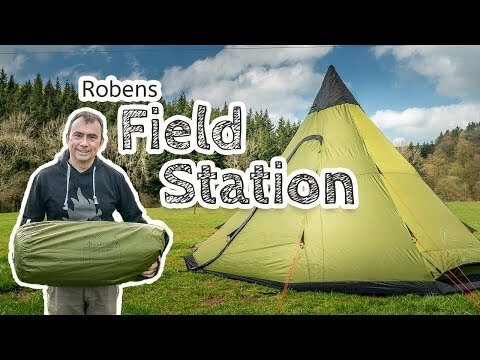 The Robens Field Station is an incredibly easy tent to pitch. 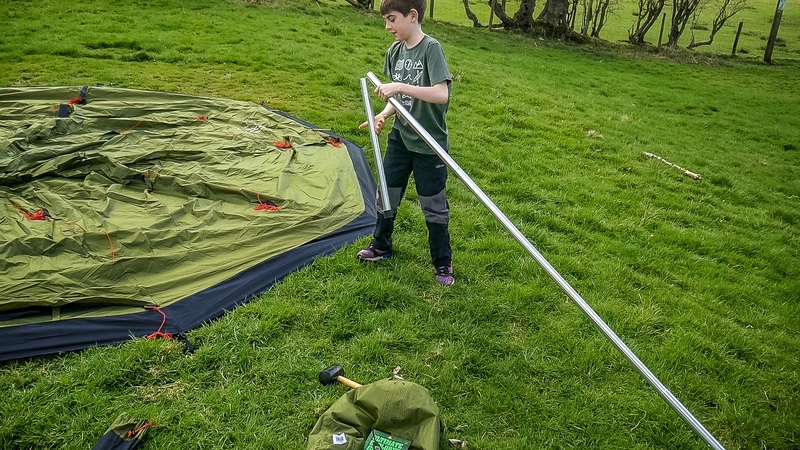 First you spread the tent out, and peg out the base. Next put the tent pole together. There’s only one tent pole you need to bother with. This is lightweight aluminium and simply slots together. 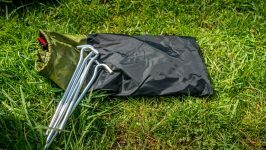 The single tent pole is lightweight aluminium and slimply slots together. 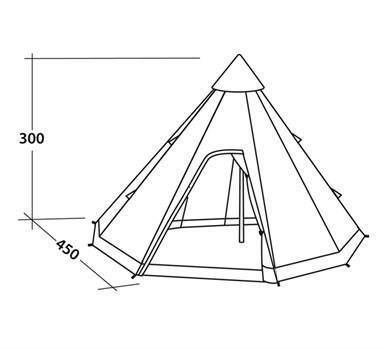 Then, simply unzip the door of the tent, and insert the pole into the top, and push into place at the centre of the tent. That’s it. The tent is now up. The last step is to go around and peg out the guy lines, including those on the ventilation panels at the bottom of the tent. Tent guy lines. Note the vents at the bottom also have guy lines to help create good ventilation in the tent. At the top of the tent, the black material can opened up to show a ventialation mesh. 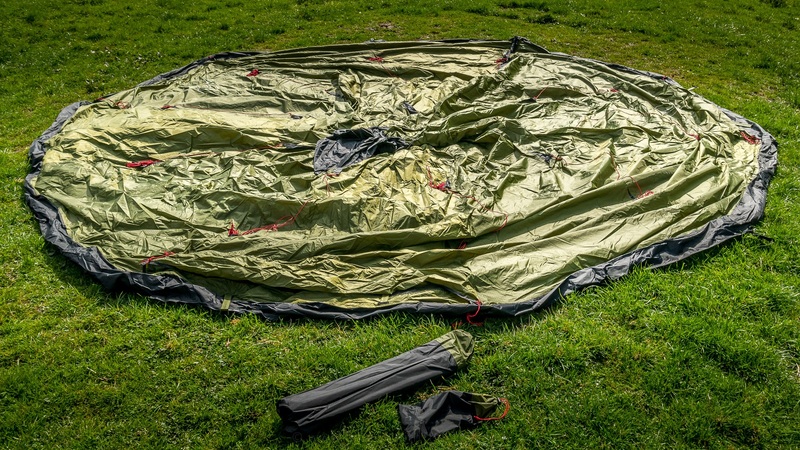 This provides a good airflow through the tent to cut condensation, especially at night. 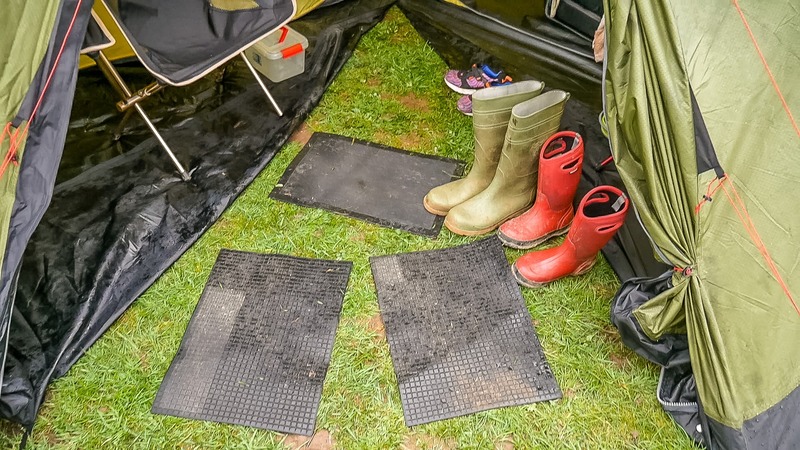 Fortunately, you don’t have to climb up to open these top vents, as they can simply be opened or closed by pulling on a line within the tent. 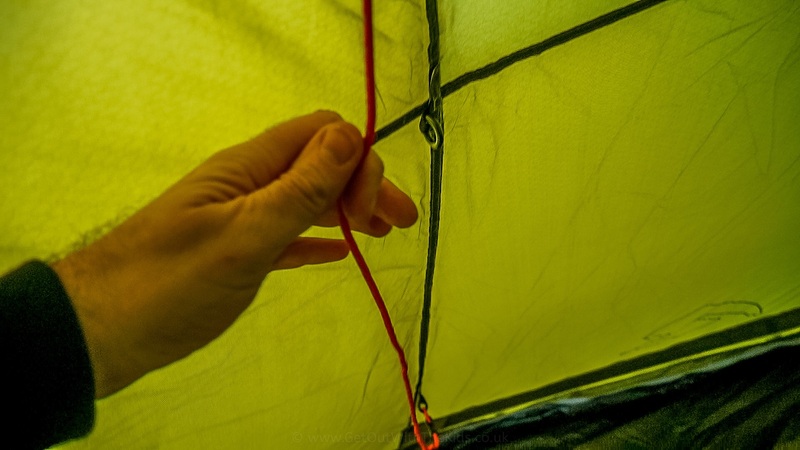 You can open and close the top vent by pulling this lines from inside the tent. 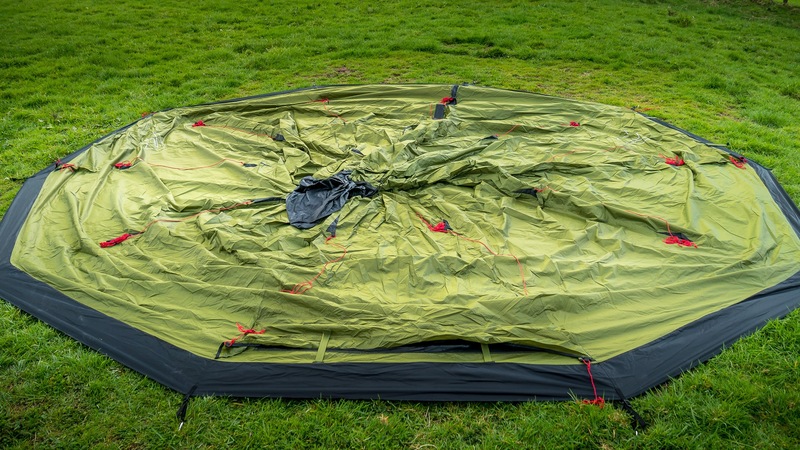 Another useful feature of the Robens Field Station is the groundsheet that unzips at the front of the tent. This is great if it is wet, as it prevents water getting on your tent’s groundsheet and provides a good place to store muddy boots. The inner tent is an optional extra. 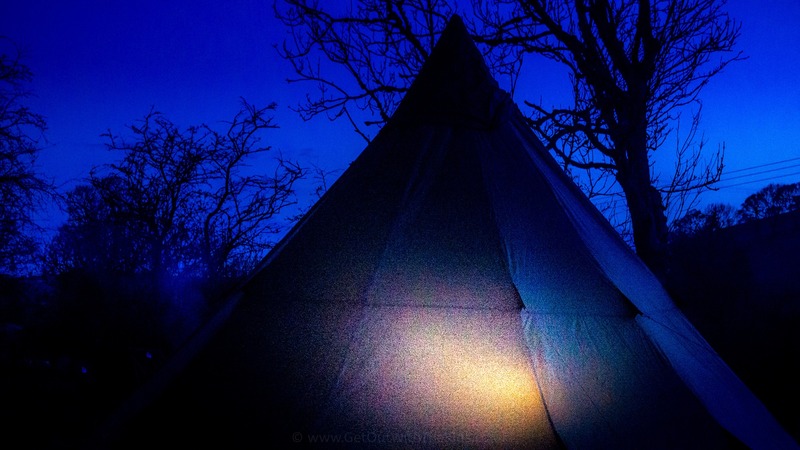 It’s certainly not an essential item to get as the tipi is completely usable without it. However, we did find that it defined the space better, with a clear sleeping area and porch area. The groundsheet unzips and rolls up, all the way back to the inner tent doors. 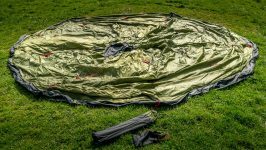 The inner tent has also been useful for keeping the bugs out of the sleeping area, plus it has a few useful storoge pockets. The only downside is that the inner tent has no divider despite having two doors. 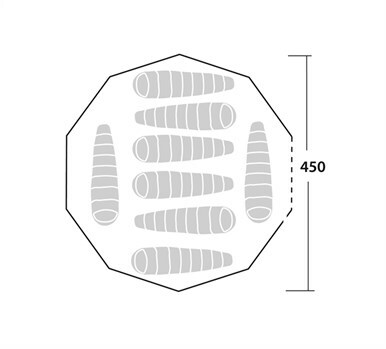 However, given the shape of tipi tents, the divider might not create the best use of space in the tent. 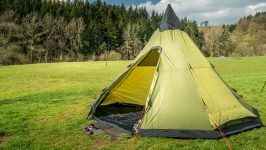 The inner tent is bright yellow colour, which provides a warm glow at night. We absolutely love the Robens Field Station. It get’s the GOWTK Thumbs Up.  The Robens Field Station comes recommended by us. 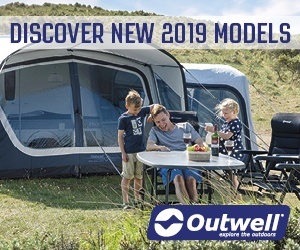 It's a great tent for those family camping adventures with the kids. 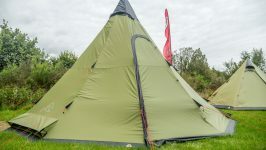 The Robens Field Station is a really easy and fast tent to pitch, and perfect for throwing in the back of your car for a quick weekend camp with the family. 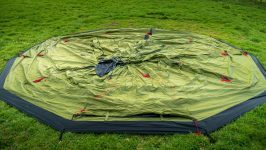 The inner tent bedroom is an optional extra, but it's not essential.